We’re thankful to have James Asmus, writer of Quantum and Woody and co-writer of the new miniseries The Delinquents, as our guest this week! We talk with him about dirty plays, Gambit, hobos, comedy, collaborating with Fred Van Lente, and so much more! Plus, more Every Story Ever entries! Follow James on Twitter! Don’t visit his website. Sodomites!!! doesn’t seem to be playing anywhere currently, but Chicago Theater Beat really liked it back in 2009. Read all about Wasteland, comedian Del Close’s comic from the late ’80s with John Ostrander. 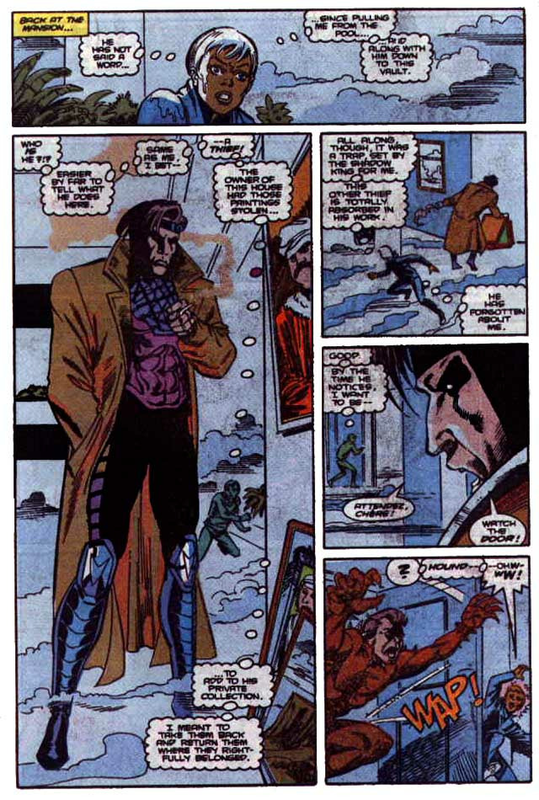 Here’s a page from Gambit’s first appearance. He does look…pretty rough. Our guest this week is Nolan T. Jones, one of the co-founders of Roll20 and the writer of the new digital comic Colonial Souls! We talk with him about mashing up genres, writing comics that do things readers don’t expect, assembling a creative team, tabletop gaming (natch), Kanye West, and much more! Plus, more Every Story Ever entries! Follow Nolan on Twitter! And go check out Roll20! Here’s where you can download Colonial Souls! The Newbridge tourism video and Paid Programming. We’re welcoming back Dredd: Uprise writer and expert about all things 2000 AD, Arthur Wyatt to the show! 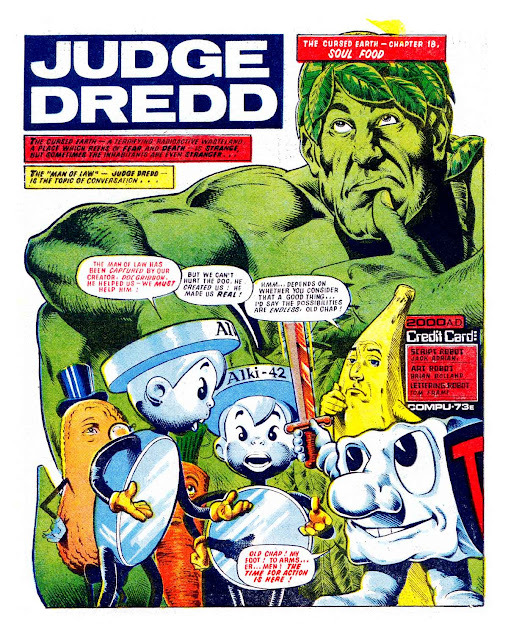 We talk to him about how Uprise may be treading on controversial ground, Judge Dredd’s history with fast food mascots, Rogue Trooper, tropes of dystopian future tales, and much more! Plus, three more entries into Every Story Ever! You see some strange things in the Cursed Earth. 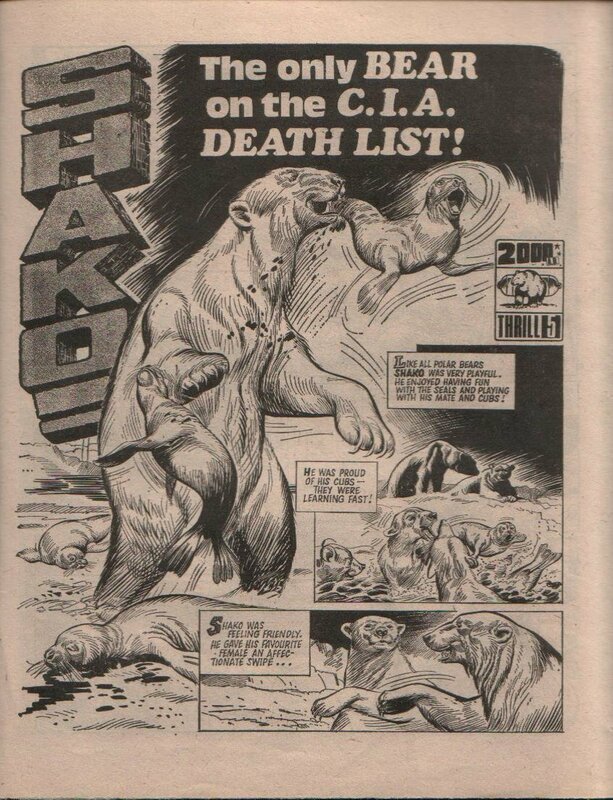 Behold Shako, the only bear on the CIA death list! Here’s the oral history of Countdown.